Cancer. The dreaded diagnosis. Life interrupted. My husband was diagnosed with Stage 3C Colon Cancer in November 2018, at a time we were certain we would be making a big move, and everything came to a sudden and complete stop. Life was sorely interrupted and completely turned upside down. He’s 37 years old, and we have four young boys under the age of ten. This wasn’t supposed to happen. It was like a whirlwind of bad news all at once, and it felt like this would be the end of him. The end of all things beautiful. The end of the life we had planned. How could this be happening? You know what happened next? The body of Christ stepped in. Family and friends from our local church and from around the WORLD stepped in and covered us in prayer. Made us meals. Took care of our kids. Packed their lunches. Sent us money. Flew in to see us. They STEPPED IN. And in a beautiful, overwhelming, and real way, It filled our hearts with love, encouragement, TRUTH, and HOPE. It reminded me that the picture is so much bigger than this diagnosis. It carried us. It’s been a long few months of cancer. There have been ups and downs and the journey is not yet over. But can I tell you something that might sound crazy? I’m thankful for it. I’m thankful for this cancer journey we’re walking. Not because I want my husband to have cancer, but because him having cancer has opened our eyes even bigger to the greatness and majesty of God. It has shown us what the body of Christ can do in such an overwhelming and beautiful way. His plan is so much better than ours. Our journey is far from over. But as I sit on this airplane, I can’t help but think that this is such a small piece of the big picture. Sometimes it helps to take a step outside of our circumstances, don’t you think? Like flying in an airplane, overlooking the city you just visited. All of a sudden the things that seemed so big, seem so small. It’s a humbling reminder that my giants are not so giant after all. Because my God is so, so BIG. His view is bigger than mine. It only took two words to rock my family to the core: brain tumor. Turns out the symptoms my feisty mother-in-law had been experiencing were more than weirdly isolated annoyances. And so on a Sunday night I held my husband as he cried and trembled with fear, imagining the worst and fervently praying for the best. The next day we made the first of multiple three-hour trips to the hospital she was in, and our reality shifted in the way it only can when you receive terrible, life-altering news. Time became suspended. The world as we knew it took a backseat. Let me add here that we traveled with our three-year-old and three-month-old daughters. Because my mother-in-law was in the ICU, our girls couldn’t go into her room to visit. I ended up spending a lot of time in the waiting room keeping them occupied, looking out the window, and observing the other people I shared that room with. 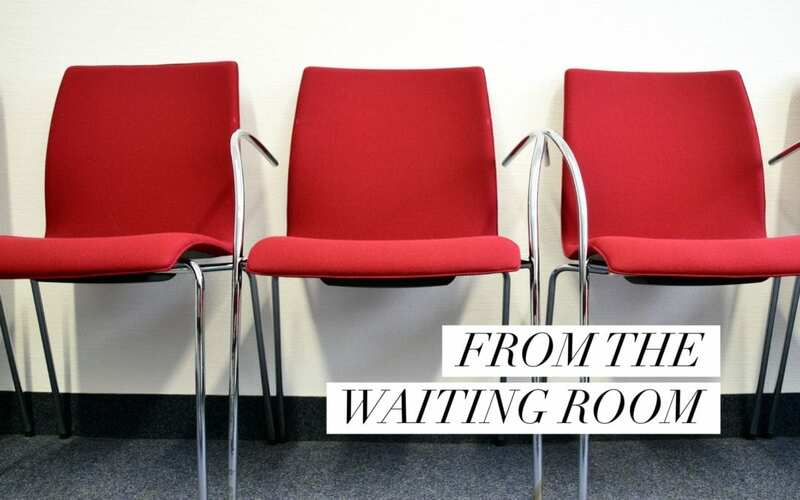 I came away from my time in the waiting room with a perspective I hadn’t thought to have before this experience began. I’ve never been a fan of hospitals. There’s a stark coldness and a distinct smell that makes me uneasy. Not to mention people don’t usually end up in the hospital because they wanted to be there. There are so many sad stories behind each patient and family member who find themselves laying on a bed or sitting in a vinyl chair. It’s overwhelming and I try to steer clear as much as possible. 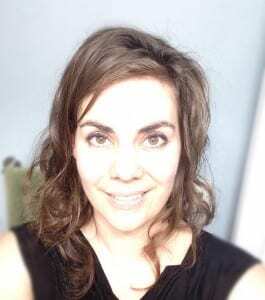 Until I found myself in that neurosurgery ICU waiting room, I didn’t quite grasp just how many ways a person can experience life-threatening trauma to the brain. Each day I heard snippets of conversation around me with words like “aneurism” and “brain bleed” peppered in the way the rest of us might casually discuss what we ate for lunch. These loved ones huddled in their respective corners came from all walks of life. There were older men and women alongside children and grandchildren. Nobody was immune. As I eavesdropped on strangers’ conversations and heard the words my own family was speaking, I found myself yearning to connect, to go deeper, to release what was on my mind and in my heart instead of tucking those raw emotions safely away. I saw my husband’s family, and especially his mom, through the lens of their mortality. It mattered that everyone in that waiting room was there for the same reason. The trivial things that usually occupy my mind suddenly lost importance. Who cared if my outfits were on trend and properly accessorized; they just had to be comfortable. Keeping up with my social media feed seemed like a chore I just couldn’t be bothered with. My diet and exercise routine had to be put on hold because I was exhausted from the energy it took to comprehend what was happening to us. Any plans I had made were cancelled. Nothing was more important than being there. My husband played the song, “Eye of the Storm” for his mom to comfort her during her early days in the ICU. Then we heard that song at least once a day each day we were there. The day after my “second mom” had her surgery, a lady in the waiting room had a ring tone on her phone…you guessed it…”Eye of the Storm!” When I shared with this woman the significance of her ringtone, she wrapped me in a hug and we bonded over the wonder that God uses little things when they can make the biggest impact. I was able to hear her story about why she was there, and I’m still praying for her father, Donald, and his recovery. Speaking of prayer…the abundance of prayers and support from our friends was the biggest way God showed us He was at work. I can’t even count how many people across the country and even in other nations were praying for our family. So I shouldn’t have been surprised when my mother-in-law’s surgery went better than we had hoped, or when she was awake and talking just hours afterwards. I shouldn’t have been blown away when I saw her the next day and she was cracking jokes like always and making sure her kids were taken care of. I don’t know what I was expecting, but I realized how my faith had given way to worry more than I’d like to admit. God reminded me of His tender mercy as I sat with my daughters. He reminded me just how important prayer is – it’s everything! I realize that our story has had a happy resolution – at least so far. The very night of my mother-in-law’s surgery, when we were in the cafeteria having a snack and taking turns saying goodnight to her, another family was pouring into the hallway, faces red and splotchy, tears streaming down cheeks. Their news wasn’t so happy, and my heart ached for them and the pain they were experiencing in that moment. But for the grace of God, that could have easily been us. And our journey with this brain tumor isn’t over yet. There’s still a lot of healing, physical therapy, and treatment to come. The future isn’t certain, not by a long shot. But as a family, we’ve changed. I can feel it. Whatever we face in the unknown future, whether it be another difficult diagnosis or struggles in the midst of healing, we’ve already come face-to-face with what we say we believe about God. Our faith has been tested, and even as we wrestled with fear, our faith didn’t falter. We could have easily given ourselves over to despair, but instead we chose to daily place our burdens and questions at the feet of Jesus. 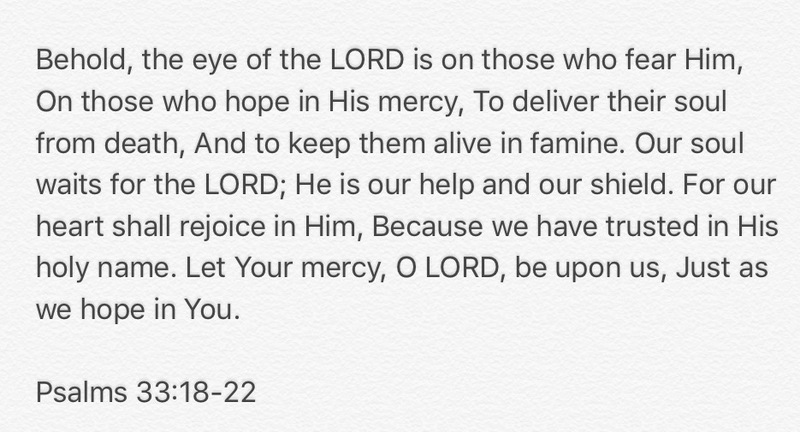 There are two Psalms that brought me comfort over the past few weeks: Psalm 33:18-22 and Psalm 37:25-26 & 39. Whatever you’re facing today, your Father is right there in the thick of it with you. Let Him be your hope. Trust that He will not forsake you, but will be your strength today. 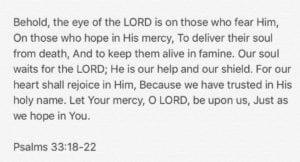 Rejoice in Him, who is your Help and Shield! …Because we all have a story. And sometimes sharing it with others is the scariest thing we think we’ll ever face because vulnerability can sometimes lead to pain. Jeremiah 1:5 tells us that before God formed us in the womb, he knew us. He knew what he was doing when he gave us our character traits and our flaws. Over the past few years, I’ve come to understand that the imperfections within us are meant to serve a purpose. That being said, here is my story. Growing up, I was thought of as the shy and quiet girl. I clung to my mother’s leg on the first day of Kindergarten and hoped that if I cried hard enough my parents wouldn’t make me stay. In elementary school, I remember playing alone on the playground and drawing elaborate pictures in the dirt with a stick. My best friend was my stuffed, pajama-clad bear named Chuckles. Once, in the fifth grade, I had to demonstrate a “how-to” project in front of the class. This is my first real memory of experiencing crippling fear in front of my peers. I went with something I hoped would be quick: How to Draw a Snoopy Face Out of the Number 55. Terrified, I went up to the board and drew that thing out in about five seconds flat. There was no pausing to give my classmates instructions. I drew as quickly as I could with trembling hands as my teacher urged me to slow down and explain each step. 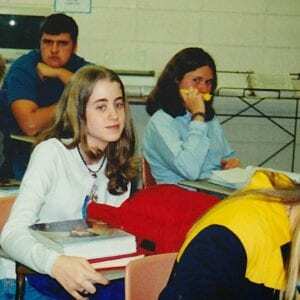 I don’t remember what kind of grade I got on that presentation, but I do remember from that moment on having an inescapable fear of not only being called up to the board in class, but being called on in any sort of way by the teacher. Fast forward to high school, where every day was spent making sure I didn’t wear a gray t-shirt to reveal my incessantly sweating armpit stains. I refused to eat anything for lunch at school other than crackers because I feared eating a big lunch would cause my stomach to make gurgling digestive sounds in a quiet classroom. My worst fear was being called on by my teacher to read out loud. The phrase, “We’re going to go around the room and read…” was my absolute worst nightmare, and panic would take over my whole being as I waited for my turn. Then came college, where there was more of the same. Every day was spent fighting one anxious battle after another. I remember my heart beating fast each and every time I walked to class. I wondered: would I get called on to read out loud today? Would I get a tickle in my throat and have an uncontrollable coughing spell during lecture? I told myself that if things got to too stressful in class, I would just get up and leave, pretending I had an appointment. This is an escape route that wasn’t available to me in high school, and I utilized it one day in Calculus to avoid board work. At the end of the day, I would go back to my dorm room and collapse on my bed, emotionally exhausted. A suite mate might knock on my door, but I wouldn’t answer, telling her later I had fallen asleep. When Summer came, while other kids got jobs to further their resume and use towards experience in their field of major, I would stay holed up in my apartment, relying on savings to pay my part of the rent and bills. A day didn’t go by that I didn’t feel like a worthless freeloader. 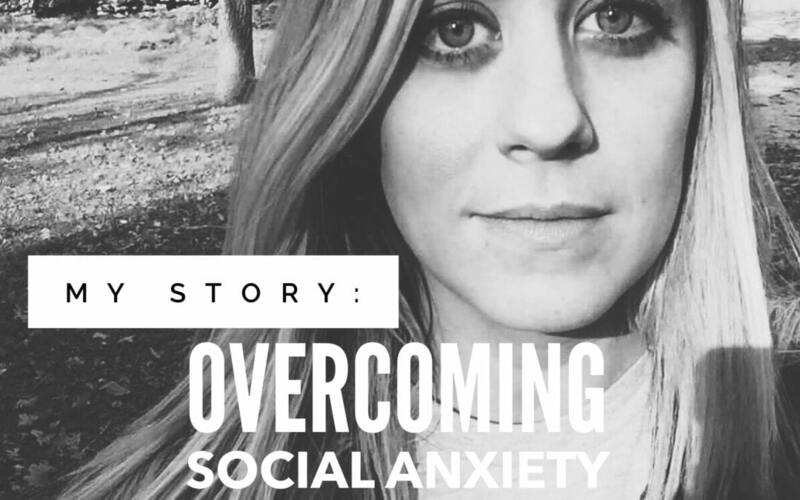 I couldn’t apply for jobs because my anxiety was through the roof. I remember multiple instances of my picking up the phone to call a potential employer then hanging up before they answered because my heart was beating so hard, I knew I wouldn’t be able to talk. One morning I was in bed thinking about how all my roommates were at work and I was wasting another day away, a prisoner to fear. My heart started beating erratically, and I experienced a full-blown panic attack that left my heart physically hurting. I was so worried, I actually called my parents and asked them to drive me to the hospital for heart tests. After all the testing, I learned my heart was fine. I was told to stay away from stimulants such as caffeine. I was also told that anxiety is most common in college-aged women trying to figure out what to do with their lives. No matter what age I was, a common thread coursed through my life: the concept of embracing who I was and simply being myself was never considered. It took all I had to face each day trying to hide my unrealistic anxieties from those around me. But even though it was the only way of life I knew, I never stopped to consider what might be wrong with me until after I got married. At 23 years old, I googled “social anxiety.” The symptoms laid out on my computer screen sounded like someone was writing a biography about me. I felt exposed. I felt scared that I had an actual diagnosis which I would forever be trapped in and defined by. Boom. There was my life summarized in two sentences. I cried to my husband that night and revealed to him my secret struggle that even he had known nothing about. I worried he would look at me differently, but he amazed me then and continues to amaze with his understanding and full acceptance of me. I continued to live life crippled by social anxiety for a few more years. My breaking point came when my job (working for a local magazine) required me to go into a few different stores and pick out products to highlight. This involved me carrying in a notebook and pen and asking an employee to help me with what I needed. I couldn’t do it. I broke down, absolutely overtaken by fear. My husband was my hero that day. He took my notebook and pen and went into each and every store and got the information that I had been assigned to get. Not long after that, I had a talk with my family doctor. My heart beat and my voice shook as I told him about the relentless anxiety I struggled with every day. He listened and acknowledged my struggle. He affirmed that I had truly been living in a secret hell. It was that day that I took the first step of treatment. And my life has been changed for the better since. Do I still struggle with anxiety? Yes. But the difference is that instead of not making the call, I’ll make it now, even if I don’t feel the most confident. I put myself in new situations now and don’t hide from the world. I have discovered my real personality when not held back by fear of being judged. I am funny. I love people. I’m goofy and not as shy as I’ve always considered myself to be. I love teaching children. I see the value in complimenting a stranger and look for opportunities to be a light for Christ. And going back to what I said in the beginning about our imperfections being meant to serve a purpose: I am a greeter at my church. I struggle sometimes with stumbling over my words or feeling awkward trying to talk to new people, but I’ve also seen God use me just as I am to make others feel welcome and important. And my desire to love on others just as they are overrides my desire to not talk to anyone out of fear that I might not know what to say to them or might stumble over my words. Therefore, embrace your imperfections. Don’t waste them. Figure out who God wants you to share your story with and tell it. You will be amazed at how many people will be able to relate and how many lives you’ll be able to touch when you take off the proverbial mask of perfection. I am sharing my story to bring awareness to a disorder that affects millions of adults in America. If you are secretly struggling with social anxiety, know there are various forms of treatment and I urge you to consult with your doctor about which might be best for you. There IS life beyond the labels, and that life is one of abundance when we choose to not be held back by what has always kept us bound. by BraveGirl Tammy | Aug 16, 2016 | Acountability, Confession, Fear, Feelings, What's Brave? Wow. This wasn’t the post I wanted to write. I wanted to encourage and inspire and share something that would bless other women from my own comfort zone. Instead, I’m going to tell you something real and exercise the bravery that we try to encourage here at BraveGirl. I grew up in a Christian home. I was involved in Christian groups at my public college. I even worked at a Christian bookstore (and am currently employed as a schoolteacher at a Christian school). Honestly, I have really embraced Jesus as my Savior on my own since the year 2000, as a college freshman. But when it comes to my vehicle, I’m incognito…I don’t claim my Christianity. I don’t have a window sticker of any of the ministries I support displayed on the back. No artistic rendition of the one cross, or the three crosses. No fish emblem. No Bible verses. I have a generic white minivan. The lack of window stickers have helped me avoid awkward moments in the parking lot more than once. Why am I telling you this? Because there’s a reason I don’t have any Christian representation on my car. I know that once in a while, I have been going too fast to stop and it’s questionable if I was all the way through when the light was green or yellow. I know that sometimes I have changed lanes and cut somebody off. I am afraid that if I drive poorly, and I am supposed to be representing Jesus, then I will turn people away from Him. So instead? I hide my faith behind my tinted windows and sunglasses. There are two solutions to this problem. The first? Become perfect. And though I may have good reason to reconsider some of my habits, I don’t think that this is the real answer. How many of us are waiting to share our faith until we’re perfect examples of Jesus? Thinking that way means I won’t be sharing Jesus with anyone. EVER. The truth is…our imperfections highlight the NEED for a Savior. Hiding my imperfections says ‘once I needed Him and now I don’t.’ When we claim Him, in spite of our failings, others realize they can also come to Him now. They don’t have to wait until they stop making mistakes. Plus, it denies them the opportunity to see how Jesus changes us. By letting others see us as the imperfect humans that we are, they will also get to witness Him As He changes us. THAT’S how people see Him most. So, if I cut you off accidentally or don’t keep my speed in check approaching a traffic light, I apologize in advance. Just know I’m a work in progress. All of us are. If you want more mini van stories…check out clean on the outside and acci”dents” . It seems this van is one of God’s tools for helping me grow. It was a Friday afternoon in February of 2000 when my life suddenly changed forever. I’ll never forget the phone call that came after business hours. I was in my office with coworkers and picked up after the first ring. The voice at the other end of the line was my children’s father, my ex-husband. I remember being stunned and confused about the words before they sank in, wondering why he would say such a horrible thing. I even remember asking, “Are you sure?” which I know was my mind begging for one more moment of not knowing. My knees weakened as he finished telling me what he knew about what had happened. He had been out of town on business and upon returning, found our oldest son alone and gone from this world. Mercifully, gratefully, he had gone home to be with Jesus and that ray of Hope would be the shred of life that would survive while my heart and mind pulled on a shroud of deep black darkness. The next few days I lived the nightmare of my greatest fear since becoming a mother, losing one of my boys. My heart was filled with infinitely more pain than my fear of it ever had. I isolated myself most of the time as family and friends came to the house offering condolences but I wanted to be alone…in my darkness. Even though I took comfort in knowing Chris was a believer and I would be reunited with him in heaven, my mother’s heart was aching and struggling with accepting he was gone from this earth. Monday was a holiday, so in short the funeral was postponed until almost a week later. I’m not sure how, but it was arranged and attended by more than 800 people I was told. I can recall only bleak snapshots of that miserable week of waiting…my dad sitting in my living room in the navy tapestry wingback staring blankly overcome by grief, food piled up on every countertop and bulging from the refrigerator, and our house busy with well meaning guests. Then I woke up in the emergency room after blacking out for an extended period of time. I remember hoping to see Chris one more time and for some strange reason thought he was at the hospital. In times of deep sorrow and shock, your mind takes strange pathways. In the following month, there were many beautiful cards, (I still have every one of them), visits and frequent phone calls of consolation. I returned to work way too soon because I didn’t know what else to do. Sorrow and emptiness became my new painful normal. Grief is exhausting…not only emotionally but physically as well. I often tried to pray, but the prayers never seemed to make it above the ceiling. Even though Chris’s dad was very angry at God for the untimely death of our son, for some reason, I never was. But I couldn’t feel His Presence. Weeks turned into months and months into two years. Cards and visits had long since stopped. Everyone had resumed their own lives. The cruel emotions of hurt and self pity were added to the suffering because I felt so alone in my sorrow. Sadness. Loneliness. Fear. Dread. Pain. Despair. PURE DARKNESS…EMPTINESS. I don’t know if there was a single other person in that congregation who needed to hear those words more than I did. I felt as if they had been eternally penned for me. I knew in the depths of my soul that it was God’s answer to my desperate plea earlier that morning, delivered by His obedient servant, a pastor I hardly even knew. The message clearly charted the course of the healing power of our Lord and Savior, Jesus Christ. As the words washed over me, I experienced a lifting in my soul. That day I actually felt for the first time the warmth of His Loving Arms enveloping me. I saw a beam of His Radiant Light shining from the far end of the heinous darkness in which I had hidden for the past two years. I saw Him…I felt Hope. It’s not that I had never heard the things that were presented in that timely message. It’s that I had not chosen them as my foundational truths. I had spent a lifetime of self will ignoring the very thing that sustains us through times like this. God loves us and is constantly pursuing His independent self willed creation. He already knows every detail of your struggle and is patiently waiting for you to turn to Him for help. I trusted Him with my eternity through my salvation experience but thought I could handle the “living on planet earth” on my own! Simply put, when faced with the most difficult challenge of my life, I had chosen darkness instead of His Healing Light! During those two years, many times, I had begged God to let me die, to be free of the pain. But He had chosen not to answer those misplaced prayers. He did not send His Son to die so that we would be left in darkness! The awakening that day was only the beginning of my healing. Over time, the hole in my heart was graciously being filled with His Truth and Promises as I spent time with Him, meditating on His Word. Leaning on Him for my strength and direction was infinitely the better choice…it was filled with hope and the blossoming of joy and new life. One day as I was in His Word, He gently reminded me that He had also lost His Son and He knew exactly how I felt. And there it was, the very essence of Truth that sponged up the last ounce of my self pity. How could I have ever felt alone? The Creator of the universe, my Heavenly Father, knew how I felt. He had never forsaken me. I had NEVER been alone. The realization of His intimacy flooded over me! I finally knew in my heart that throughout every moment of the journey since that Friday afternoon phone call, He had been right by my side. I had missed the miracle of it because of my foolish self will. I realized His desire for me to live was a blessing. He was not finished with my story. He wanted me to share it and His message of hope with the world! Would I have ever wished my son would die? Of course not, no mother would. But I will tell you that had I not gone through the devastation of losing him, I may never have ever known the glorious riches of walking with my Lord and Savior! So be encouraged no matter what you may face, THE God of the universe loves you. So much so that He sent His only Son to die for you. There is nothing too big or bad for His sacrificial Love to cover. You only have to trust and receive His beautiful Gift of Salvation. Life is full of crossroads and choices…choose life! Let Him lead you into His Marvelous Light! He is a good good Father and His Mercies are new every morning! In the past fourteen years, I still grieve over Chris but I have also experienced more Joys than I could have ever imagined because I opened my heart up to Him. Please don’t miss it! He will give you joy in your mourning too. Let Him have that chance. Open your heart up to Him…and ask Him. We thank you for your love, your faithfulness, and your son Jesus who died for us. We thank you for the person who is reading this post. I pray for the one who is struggling to open her heart up to you in her time of pain and grief. Please soften her heart to want to know you. Give her a hunger for your word. Give her your peace, your rest, and your comfort as she prays and cries out to you. Give her a humble and open heart that is ready to receive your joy and blessings and lean into you every day so that as you carry her, she finds her rest in you. Amen. It has lurked its’ way into my thoughts my entire life. I was terrified of storms as a little girl, afraid I wouldn’t be accepted as a teenager, and still spend way too much energy worrying about everything as an adult. In a world where a child can be snatched from his father’s hand on a family vacation and a horrifying shooting takes place almost daily, it’s so easy to be overtaken by fear. A week ago, my husband and I meticulously bubble-wrapped every belonging in our house and packed it all on a truck that would meet us at our new home halfway across the country. I knew it was God’s will for our family to make this move, but once again, fear took over. How will we make new friends? What if our kids hate their schools? Can we afford this financially? Should we be doing this? It took a hotel water slide and a 9-year-old little girl to open my eyes to the fear that was gripping me. Just like her earthly father went first down the water slide, our heavenly Father goes before us in everything we do. The LORD himself goes before you and will be with you; he will never leave you or forsake you. 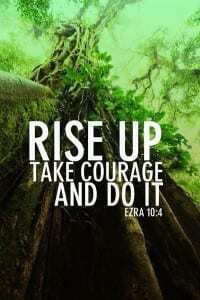 Do not be afraid; do not be discouraged. He goes before us. He knows what’s in my family’s future and He placed it on our hearts to make this move anyway. I have nothing to fear. He has big things in store for us if we will just step away from what makes us comfortable and trust Him to bless our obedience. He also commands us not to be afraid. Believe me, I know all too well how much easier it is to say it than to actually do it. While I have so many irrational fears that will most likely never happen, I have also had some of my biggest fears in life come true. Fears I thought I’d never survive if they actually manifested. But guess what? Not only did I survive, I truly believe God is real because of the way he carried me through those times in such a precious way. In the midst of strife and sorrow, we can feel God more closely than we ever do when life is going our way. He didn’t promise us that nothing bad would ever happen, but He does promise that He will be there to help us through it. He is always with us, even when our fears become our reality, so we never have to be afraid. All of that being said, because I know myself and my human nature, I know that fear will slink its’ way back into my thoughts again as my family and I continue to face so many unknowns. When it does, I am going to try my best to intentionally seek Him and His truth because I know He alone can rescue me from my fear. I don’t know what fear is controlling you today or what it is keeping you from doing, but I hope you will join me in trying to seek the Lord rather than spending more of our short time on this earth contemplating worst case scenarios. What do you feel God telling you to do? What doors have been opened that are calling you in a direction you aren’t particularly comfortable going? My daughter realized that day how much fun she had been missing out on for so many years because she was afraid. I don’t want to miss anything that God has for me. Let’s choose obedience over uncertainty. Trust over fear. Let’s climb those stairs, sit down at the very tip top of that water slide, and enjoy the ride because the ride is where we get to experience Him the most. Before I even begin this post, I want you to know that I have full permission from my beloved husband to share this with you today. Every word written in this post has been approved by my one and only…and I appreciate his willingness to allow me to be so transparent in the hope to bring encouragement to someone who needs to hear it. Love you babe! It was a beautiful day in June, 2001, the day we said “I DO”. Every single detail I had planned for the last year had come to life! From the beautiful bushels of off white roses trimmed in pink to the blush colored bridesmaids’ dresses (9 to be exact!). The music was heavenly with the warmth of candles everywhere. The dress…well, it was off white satin and the top of the bodice draped in jewels…it was stunning. It only took me 500 hundred other dresses too pick the perfect one (I KNOW some of you can relate- lol!). The intro to “Hear Comes the Bride” began to play. The doors flung open and I made my way down the long center aisle. All eyes were on me, especially from the guy at the end…he was my prize. There stood my prince, my best friend, the love of my life…the one God had perfectly planned for me. Scott was my college sweetheart. He was handsome, charming, smart and he loved God. He was one of the reasons I had grown so much in my relationship with the Lord at that time. He had a love and a reverence for God that I had never seen in a male before-it was contagious. I wanted a husband like that…So, I snatched him up. There we stood before our friends and family and our God declaring our love and our promise to each other. We even wrote our own vows filled with promise and truth of what was to come. We had made a covenant that would not be broken…for better or worse, until death do us part. It was a marriage in pursuit of God being the absolute center. A marriage that would reflect Christ in every way…A marriage that would be built on Scott being the strong spiritual leader of our home, raising our future children to know Jesus…A marriage where we would run our race together. I knew that life may not always be perfect, but with God at the center, we were sure to succeed. Fast forward about 8 years and my life was turned upside down. All that I had planned, dreamed and desired to have in a marriage had been stolen by endless doubt, harassing questions and ultimately Scott walking away from God. He had become my prodigal husband. No more spiritual leader. No more praying together. No more God being the center of our marriage. No more leading small groups together. No more praying with our children before bed. No more dreams of running our race together. I have spent countless hours in prayer and on my knees over this prodigal husband of mine. I have learned what it means to go to battle. I have learned what it means to be a prayer warrior (a term I thought was for all those “super spiritual” people). I have learned grace, unconditional love and patience. But above all that, I have learned the faithfulness of my God. He’s been so good even in the midst of this hardship. I would not be who I am today without this trial. I can honestly say I am grateful for how God has used every piece to shape and mold me into who I am today. I have been in the deep dark of hopelessness, but I have also seen great light. I have seen God move, heal and restore my marriage in countless ways and I have full expectation to see more! Fast forward another 8 years…and here we are. Things are not perfect and we are still a house divided, but we have learned and continue to learn grace and unconditional love. We will celebrate 15 years of marriage in just a few weeks, and looking back, I wasn’t even sure we would ever get here. We have experienced more valleys then I would like to admit over these last eight years, but there have been beautiful mountain tops too! We have three incredible kids, two of which have come to know Jesus- Amen! I am just praying for my three year old son to sit still long enough to even hear from God! Lol! My husband is incredibly supportive of all that I do with women’s ministry, leading worship and letting me continue to pour Jesus into my children. For that I am forever grateful. This post is for the woman who has a “prodigal husband” or maybe a husband who has never even known the Lord and you are in the midst of the fight…DO NOT GIVE UP. DO NOT GIVE UP believing that your God is ABLE. DO NOT GIVE UP praying for your husband who desperately needs your prayers. DO NOT GIVE UP when you are weary and want to bail out. DO NOT GIVE UP in seeing God do what ONLY he can do. 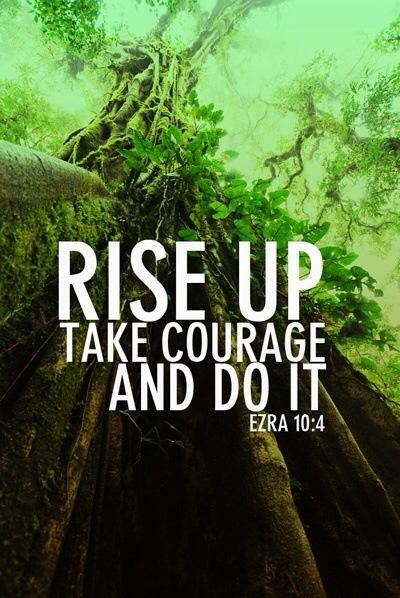 DO NOT GIVE UP when the battle is raging…. you have an enemy who is out for your husband, out for your marriage and out for your family. DO NOT GIVE UP because he is WORTH it. Had I given up years ago, I am not sure what my life would have looked like. But I know this for sure… I wouldn’t have had my beautiful son, who is now three years old. I daily get to see the incredible relationship between my son and his daddy. Scott absolutely adores him. And it is a beautiful picture and reminder of the Father’s love for His son…His prodigal son. So there I was, chopping fruit and vegetables. Meal prep for the week at 8:00 pm. It was raining and dark outside my screen door. I was alone with my thoughts, a rare and treasured gift, all you moms know! As I diced peppers and cauliflower and sliced strawberries and grapes, I noticed the only straight lines to be found among the produce were the ones my knife left behind. Such random thoughts seem to come to us in the midst of our most menial tasks, don’t they? I know this is true for me. But that solitary idea got me thinking. About nature. About the things God makes. It dawned on me: God rarely uses perfectly straight lines in creation. He seems to prefer using curves and slopes, rolling hills and rough borders. In a world untouched by humanity, I doubt you’d find many unbent edges at all. The earth. Galaxies. The sun, moon, and planets. Trees and flowers. Continents and coastlines. Rivers and oceans. Animals. The contours of the human body. Fruit. Vegetables. The list goes on…not a lot of razor sharp perimeters to be found. This realization stunned me, floored me really. I haven’t been able to stop thinking about it since. You see, I thrive when things are in order. I’m a rule-follower by nature. I like knowing what to expect. I hate super curvy roads, but give me a highway that stretches straight out to the horizon and I breathe a sigh of relief. My favorite angle is a right angle (yes, I think about things like this). There’s something about the crispness of two objects intersecting at ninety degrees that just washes over me and gives me peace. We humans have an interesting habit of creating the linear and perpendicular. It’s like we crave order in the midst of our chaos, and so the free forms of nature get interrupted by the slicing edges of our buildings and infrastructure. 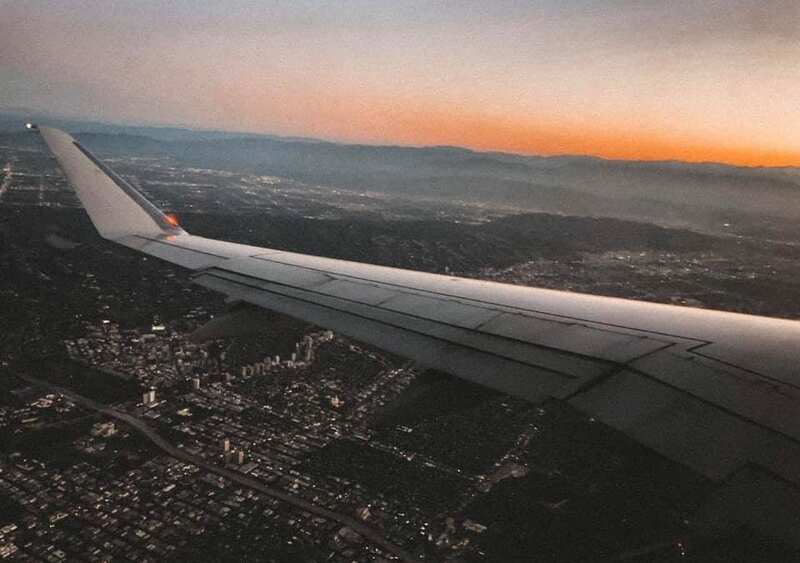 Ever look out the window of an airplane? From thousands of feet in the air, it’s undeniable just how much of a mark we have made. Our grids and patterns are in stark contrast to the clusters and curves of nature. Calendars. Neighborhoods. Roads. Houses. Lines. Lanes. Rows. Grids. Control. Plans. Everything in its perfectly-angled place. We create rigid, unmoving, hard and fast rules. We think we need alignment to survive. But here’s the thing…God doesn’t operate within the straight lines we’ve etched out for ourselves. He’s comfortable with our disarray. He watches us scurry around trying to make sense of our lives. He already sees what’s around each next bend. And He is not afraid. One of the most adventurous things I’ve ever done is ride on the back of a motorcycle. Actually, it was a dirt bike. Motorcycles give me a heart attack! The first time I climbed on behind my husband and he took off, I was terrified. But as we rode, he taught me to follow the direction of his body, to lean with him around every corner. If I forgot and tried to tilt myself in the opposite direction, I could have easily caused us to crash. So over time, I learned to mirror my body to his. When he leaned right, I leaned right, even though it didn’t make sense to me how putting myself so precariously close to the blacktop was the correct thing to do. The same is true with Jesus Christ. Once we climb onto his bike, so to speak, we surrender the driver’s seat. We don’t have to be in control anymore. All we have to do is hold tightly to Him and follow His direction. If He leans one way, we should too. And when we get scared of the angle our life is tilting and try to fight against it, we risk a nasty collision. So don’t do that, ok? God is a masterful driver. Just as He purposefully shaped Creation, he gently maneuvers the sharpest corners of your life and mine. If you’re riding with Him, you can embrace the twists and turns of each day’s pavement. You can find harmony in the chaos. And if you’re desperately seeking structure and peace, meditate on this: Christ’s mind is in perfect order, but His hands work best with the curves. Waiting on God can be one of the hardest things to do. When you have prayed for a particular thing or a person believing for God to move in only ways that he can, and yet, you don’t see change. You pray and you Wait. Then repeat. I want you to know I understand. I am in the wait too and God is reminding me He is RIGHT THERE. He has heard EVERY prayer and He is shaping and molding every step. He has not forgotten you or me …He has a plan… A GOOD PLAN. His ways are higher than ours and his timing far exceeds all that we can imagine. We are to wait in full expectation upon the Lord to move. That’s our role… To Wait upon Him. I love Habakkuk 2:3 because it is such an amazing reminder when we are waiting that His timing is everything! The following writing piece is a part of my heart and I pray it brings you comfort and renews your expectation of our Amazing God. He will NOT fail – HE is there…In the heartache, in the tears, in the pain and in the wait. and that life is on repeat. While time is flying by. My heart is pounding for desperate change with every tear I cry. help me never to despise. And My heart will sing a new song. I will rest in you when I feel I cannot stand. You say it’s yours to fight. Resting in the power of your might. That you will never ever fail. Then light will break forth like the dawn, healing will finally come. and we will prepare to run. Cheryl is passionate about Jesus and making Him known. 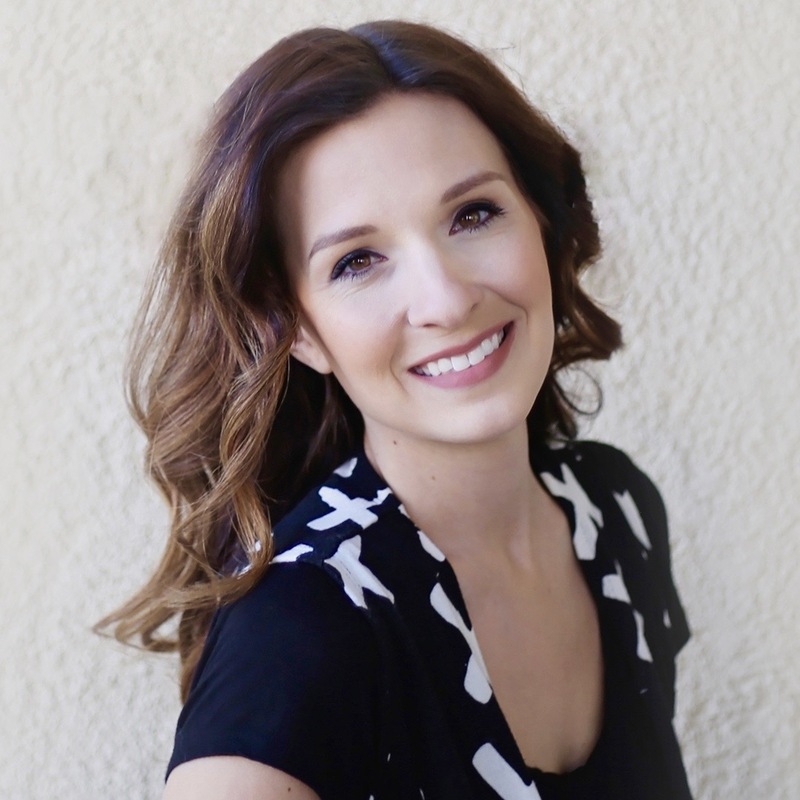 She serves as a leader in women’s ministry and on the worship team of her church. She believes that by His stripes we are healed and we are nothing without Jesus, but EVERYTHING with Him. She believes there is freedom that awaits all our brokenness, all our mess, all our shame, and all our past if we turn our lives over to Him. She is married to her college sweetheart and they are blessed with three beautiful children.